:(Piano/Vocal/Guitar Artist Songbook). All 11 songs off the &apos;06 release from this contemporary gospel star: Blessing in the Storm * Conquerors * He Will Take the Pain Away * Let Me Touch You * Melodies from Heaven * When You Fall * You Are * more. 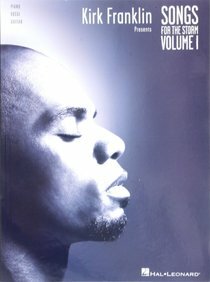 About "Songs For the Storm Volume 1 (Music Book)"